A collection of Jack Hardy's most requested Irish influenced songs ranging from traditional sounding ballads and love songs to tunes delivering more contemporary subject matter. "His original melodies often sound like newly-unearthed traditional Celtic airs...His lyrics create a persona rare in American culture; the tough guy who has taken knocks and tells about it in poetry"
"Jack Hardy is so at home in the role of Celtic bard that it is hard to believe he is home-grown"
Over the years Jack traveled extensively and spent time in Ireland, England and Scotland. He also devoured and distilled the literature, history and mythology of these countries as well as his experiences into these songs. Subjects range from tinkers (or travelers) in The Tinkers Coin, Sheila, and Willie Goggin's Hat, to the history of the diaspora in the Bony Bailiff, If I Ever Pass This Way Again, and Sending Home the Slates (never before released) to happy go lucky up tempo tunes such as Blackberry Pie, May Day and The Drinking Song to the stark harmonic beauty of West of Dingle. I heard the song "The Tinker's Coin" on the NPR station near our summer cottage in PA, and it was love at first hear. How Jack sings it, the arrangement, the words- I simply fell in love with the song. I'm a minister, and I plan to quote the words for a sermon soon and may play the song for the congregation to hear as well. The other songs on the CD are also fine, but I must confess, I bought it just because of "The Tinker's Coin." I suppose someone might come along and question the authenticity of an American singing such Irish sounding material, similarly to questioning white folks singing the blues but that would be a tertiary consideration at best. Imagine criticizing Dylan for writing "Meet Me In The Morning" cause he wasn't black. It would be as if he brought nothing to the song form and was merely imitating Robert Johnson. As someone who has challenged Jack head to head and toe to toe more than a number of times, I can testify that these songs come from deep inside him. They are part of who he is. This I believe is foremost in evaluating their authenticiy. Secondly, and almost as important, Jack embraces with passion all of his emerald isle experiences and studies, even down to throwing that damn coin in his pints of ale at the Ear Inn and other pubs from New York to Gallway. So, if you want to question whethet Yankee Jack has a right to don the green, go ahead, but I say the infuences are authentic and the singer is true to his songs and the album is brilliant, even if it is a compilation. How come no matter how many times I hear "Willie Goggin's Hat," it always sounds fresh? One can't say that about too many songs. Every song is a gem! I've got to say that it's been a little over a week since I first put this CD in my car stereo. I drive roughly 2 hours a day. Sometimes I'll switch to the radio for news but I generally switch back to the CD. I haven't changed it yet. I keep finding reason to go back and listen to it one more time. 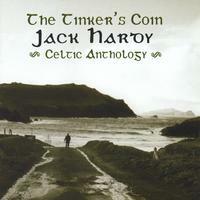 I was always intrigued by both the song and Jack's story behind 'The Tinker's Coin' and I understood this song was Jack's and not traditional Celtic. It's hard to believe that there are so many other new, fresh 'not necessarily traditional Celtic' songs that Jack wrote. Every song is a gem but the true Emeralds in my mind are the title song, "The Bony Bailiff", "Willie Goggin's Hat" and "The Drinking Song"!